The last update on Dollar was a few months back. Well i did expect a move to 78 levels but this sharp move to 81 has created lots of volatility in equity/commodity markets all around. Technically huge resistance at 80-81.5 band. 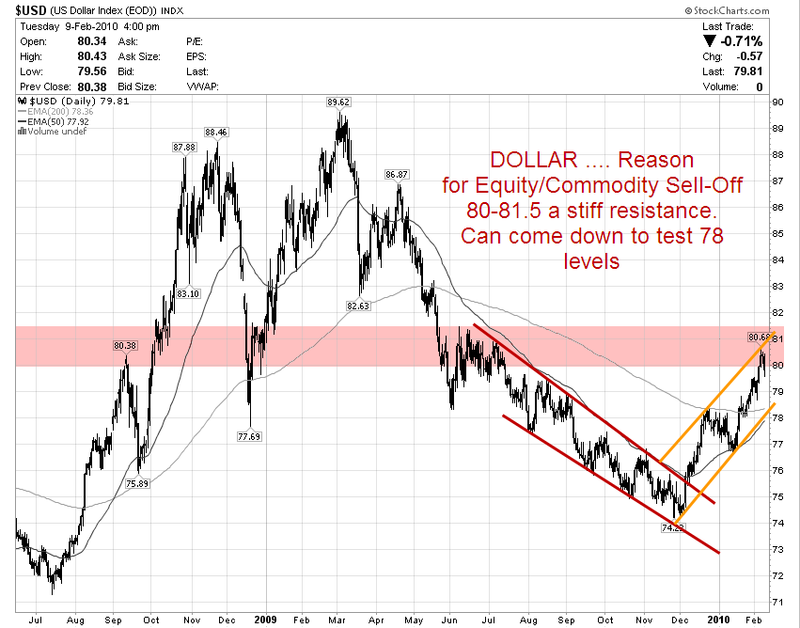 Ideally there should be a pullback to 78 levels in near term. 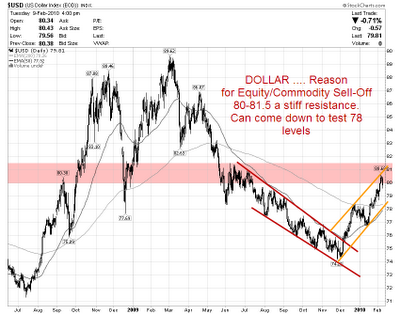 Worse case scenario would be a move above 82 on the dollar that could spook any pullback in equities/commodities. But the downtrend is still strong so one cant expect further upmoves. Rest markets are supreme.